Michael represents management in employment-related disputes before state and federal courts and administrative agencies in both New Jersey and New York. He has defended large and small companies, professional firms, hospitals, government agencies, and individual defendants in claims alleging wrongful termination, discrimination, harassment and sexual harassment, retaliation, whistleblowing, wage and hour, and unfair competition. 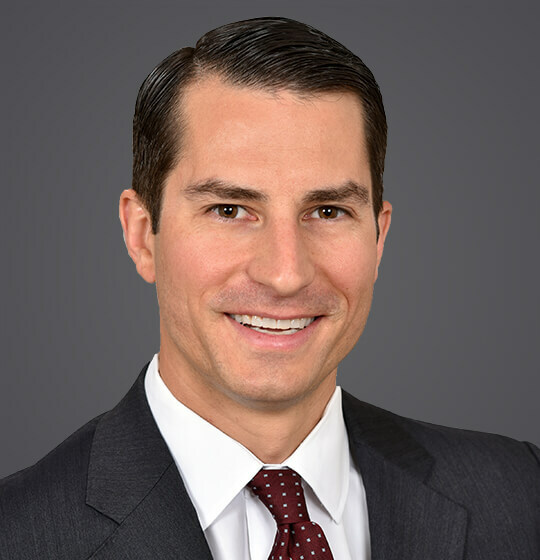 Michael is an experienced trial attorney who has obtained defense verdicts in both state and federal court as well as summary judgments and dismissals alike. He also counsels clients towards proactive solutions and policies aimed at preventing disputes and has experience conducting sexual harassment trainings. Prior to joining Ogletree, Michael served as an Assistant Corporation Counsel for the City of New York in the Office of the Corporation Counsel. He most recently served in the Labor and Employment Division as a Senior Counsel and was responsible for the defense of senior and commissioner level officials as well as the City’s agencies, such as the New York City Police Department, Fire Department, Department of Education, and NYC Health + Hospitals. Before that, he served in the Manhattan Borough Unit of the Tort Division as a back-to-back trial attorney. In law school, Michael was an Intraschool Editor of the Brendan Moore Trial Advocacy Center and competed on four national trial competition teams, twice advancing to the national finals. He was an Associate Editor of the Fordham Intellectual Property, Media, and Entertainment Law Journal and interned with the New York City Department of Investigation. Michael is active with both the Fordham Law School alumni and the Georgetown University Baker Scholars alumni groups. He is a native of Morristown. Obtained favorable verdict in three-week jury trial on behalf of police department in wrongful death action where jury found plaintiff two-thirds at fault for his own death; negotiated five-figure settlement post-verdict. Obtained two complete defense verdicts in general negligence jury trials, plus two directed verdicts. Selected nineteen juries and negotiated numerous favorable trial settlements. Secured dismissal of a prolix pro se discrimination complaint filed by a teacher based upon violation of Rule 8 of the Federal Rules of Civil Procedure, affirmed on appeal. On March 18, 2019, Governor Phil Murphy signed into law Senate Bill 121 (S121), which amends the New Jersey Law Against Discrimination (NJLAD) in two important respects, effective immediately. On February 19, 2019, New Jersey Governor Phil Murphy signed legislation that amends and significantly expands New Jersey’s existing Family Leave Act (NJFLA) and Family Leave Insurance law (NJFLI). New Jersey has joined the ranks of California, Massachusetts, New York, and the District of Columbia in requiring a phased increase of the minimum wage to $15 an hour as a result of a bill (A-15/S-15) signed into law by Governor Phil Murphy on Monday, February 4, 2019.